Rev. 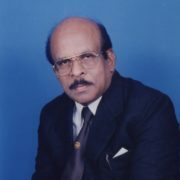 Dr. Luther Paul passed away at around 8.30 P.M. on Friday, the 15th April, 2016 at Apollo Hospital, Hyderabad. Rev. 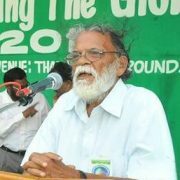 Dr. Paul, 59, an ordained minister of the Andhra Evangelical Lutheran Church served for about 20 years in various parishes of the AELC prior to being seconded to serve the ACTC as a member of the faculty and later as Principal of the Andhra Christian Theological College, prior to joining the A. P. Council of Churches as its Executive Secretary in April 2014. 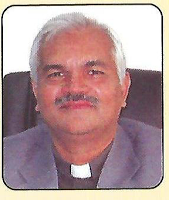 Within the 4 years tenure as Principal of ACTC, he was instrumental in building a huge chapel with a cellar for programme facilities; a women centre, workers housing, hostels and library renovations etc. and thus created revenue generating assets for the college. 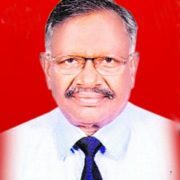 As Executive Secretary of the APCC, he was also responsible for Hudhud disaster mitigation, renovating 139 Households in Eduruvaripalem near Vishakapatnam in cooperation with the CASA. His wife heads a nursing school; his elder son with two children is a pastor, at a town near Hyderabad. 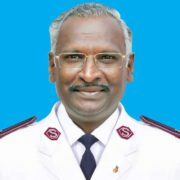 After a solemn funeral service held around 4.30 PM at Vanasthalipuram Lutheran Church, his mortal remains were laid to rest around 6 PM on Saturday the 16thApril, 2016 with scores of friends, relatives, colleagues and admirers in attendance with the members of the family. 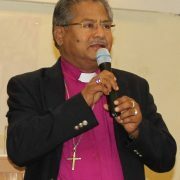 We thank God for his leadership, life and ministry, and pray for God’s comfort for the bereaved family.